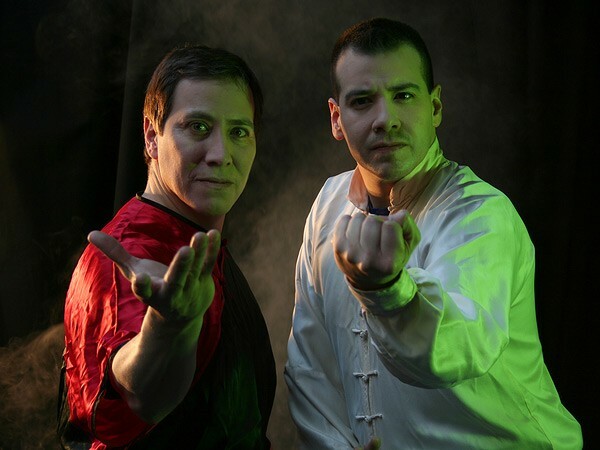 TRMK - Mortal Kombat News - Daniel and Carlos Pesina Join Cast of "Press Start"
Daniel and Carlos Pesina Join Cast of "Press Start"
Press Start, a feature-length comedy movie featuring videogame themes, has announced an addition to their cast that would peak the interests of the Mortal Kombat fan. Daniel Pesina, best known for his roles as Johnny Cage, Scorpion, Sub-Zero, and Reptile from the first two Mortal Kombat arcade games, and Carlos Pesina, known for his work as Raiden in the first Mortal Kombat and most recently the man behind the majority of the motion capture work and fighting styles featured in Deadly Alliance and Deception, are lending their talents to the project. It�s a thrill to have Daniel and Carlos onboard, beams director Ed Glaser. Not only are they skilled and professional, not only are they living videogame icons, but they have a terrific sense of humor about what they do. I think videogame fans are going to love seeing them in these roles. Viewers who realize that they�re watching the Real Deal will find that extra level of humor that makes their scenes just a bit funnier. Read the entire press release, and check out the production's blog.